If you're a DIY bride or groom, BrideBox has some appealing options if you plan to make your own wedding album. The company is a division of DigiLabs, a name that may sound familiar to professional photographers. BrideBox, along with MyPhotoCreations are the consumer arms of the professional photo lab. With more and more professional wedding photographers providing high resolution discs of a couple's wedding photos either as a part of a package or with payment of an additional fee, many creative brides and grooms are making their own wedding albums. DIY options have become increasingly popular, as couples keep a watchful eye over their wedding budgets. Couples also welcome the opportunity to inject their own personalities into their wedding albums and by making it themselves, they retain more control over the design process. Having been one of those brides and going through the process of making my own album, I learned a lot of things along the way and I wanted to share that knowledge. That's how I came to I start PhotoBookGirl.com. I previously reviewed BrideBox's sister site, MyPhotoCreations. Since the software is the same and the products are similar, you'll find much of my prior review to be relevant here, however I will be checking out BrideBox separately and will update my review with a new review of the Lake album soon. BrideBox also offers two high end lay flat photo albums - the Anza and the Marina album, both flush mount albums. Readers often ask me where they can order one of those photo albums with the very thick nonbendable pages that they may have seen from a friend or from their photographer's studio. What they're looking for is a flush mount album. These look like photographer-quality photo albums and are best used for heirloom albums or special occasions such as weddings or anniversaries. Photos of my own wedding album are featured on this page. For a review of my Anza wedding flush mount album click on the link. The BrideBox software is the same as the MyPhotoCreations software. It's downloaded to your computer and works on both Mac and PC. The software is free to use for printing with BrideBox. The Anza flush mount album (featured at right) features beautiful, crisp and bright print quality. The pages are printed on real photo paper and mounted on a hard board backing which makes the pages rigid and not bendable. The book comes at a fixed 20 pages and starts at $209.00 for an 8x8 book. A 30-page version is also available. Be sure to check out the coupon code I have at the top of this page for a 20% discount off this book! You will be hard pressed to find a coupon or promo on any flush mount photo book, since they're of a higher quality and made with more expensive materials like real photo paper and leather, as compared to the average photo book. BrideBox reviews all images for enhancement and color correction. An in-depth review of BrideBox is coming soon, so be sure to check back. I am an affiliate of BrideBox, if you make a purchase using the coupon code provided or after clicking through a banner, I will receive a commission. Regardless, as always my opinions are my own and an honest review will be given. Click HERE to go to BrideBox's site! Don't forget to check the main Photobook Deals page for all of today's deals! Bookmark that page or fan me on Facebook and you won't miss out on the latest coupon codes! Save money with the latest BrideBox coupons and deals, or see if there are any BrideBox groupons. 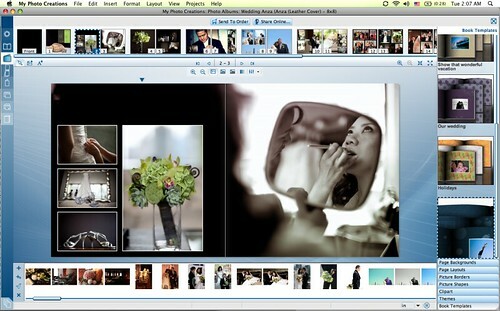 Thinking about designing a photobook on BrideBox? You can view a detailed chart of every BrideBox photo book, including sizes and pricing. See the full list of BrideBox photo books.